← I LOVE/HATE ELECTION SEASON! Something happened on November 16th, 2012. Something very exciting for me and very boring to you. On November 16th, I had spent two years, nine months and one day at my current residence. This is the longest I have lived anywhere since I was 15 years old. For the past 18 years I have moved twenty times. (I counted, it is exactly twenty times.) So HOORAY for that record. I haven’t been posting at all. I got a job. I think I am finally in the swing of my new schedule so I can post a bit more, and for that I am grateful. 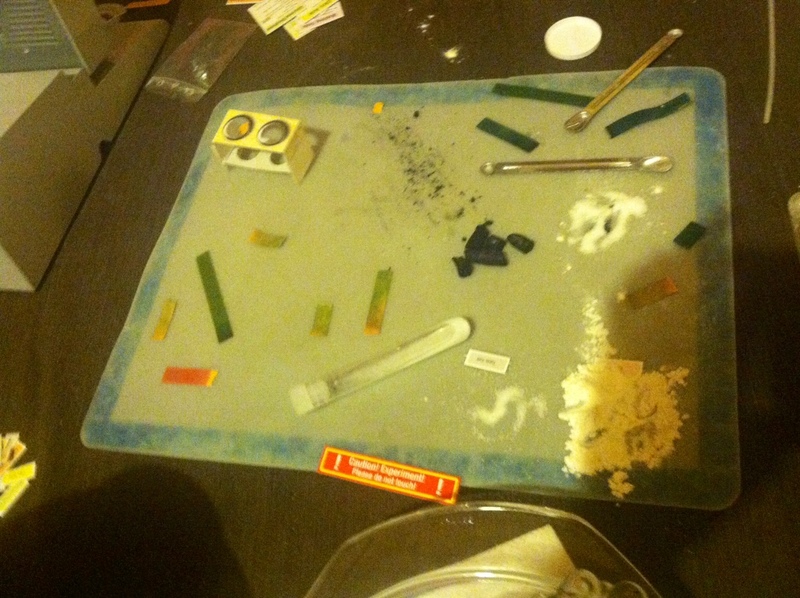 I have taken a few pictures of what I have been doing in my absence. 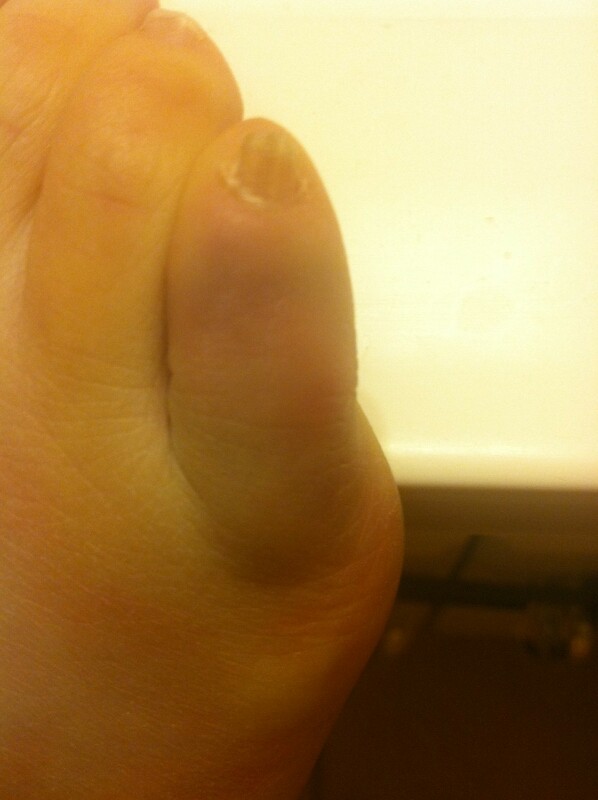 I broke my toe. Gross. 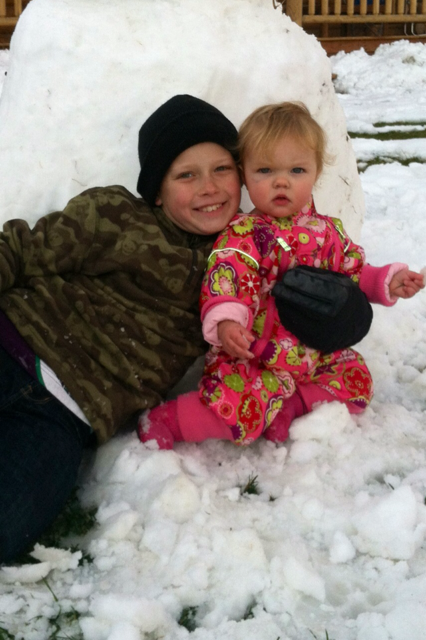 Here’s a picture of my kids looking cute in front of the snowman The Max built after the first snow. You’re not thinking about my gross toe anymore. Or you weren’t until I mentioned it again. Max received a chemistry set as a present. He has been testing the PH level of everything in the house. Lucy turned a year old. And she shoved a little bit of cake in her face to celebrate the occasion. Finally, I found this. 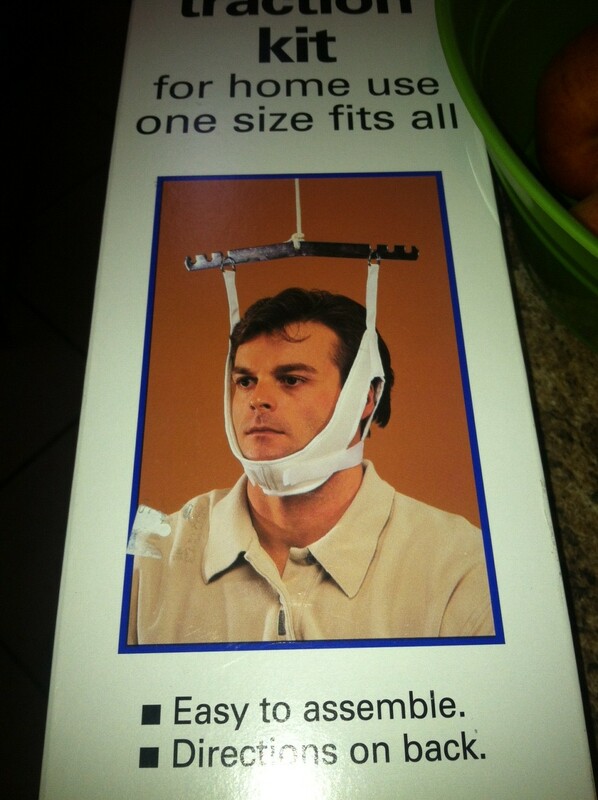 I bought it for my sister as a joke when she had a neck injury. I came across it after never having given it to her. Now I have nothing to use it for. It’s easy to assemble, want it?